This tangential record player was a classic example of Bang & Olufsen's attention to detail. It had automatic registration of record size and speed, and seven repeat functions. 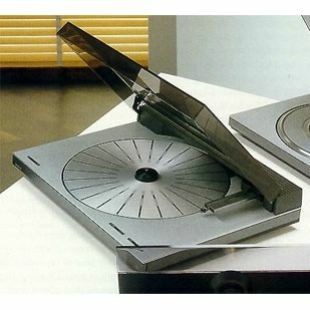 The turntable was based on Beogram 5005. There was also the benefit of Bang & Olufsen's patented chassis suspension and special tone arm design, which prevented vibrations from reaching the cartridge during play thus enhancing your pleasure and protecting your records. The US TX2 had a 110V transformer but had no switching for other electrical voltages. As a comparison, most European models had an inbuilt transformer to allow for switching between other voltages.